The only Carry-Bike Lift with security belts that carries up to 4 bikes This unique bike carrier is the only one on the market TÜV approved that enables the winch system to lower as much as 77cm, thereby enabling the bikes to be loaded easily. 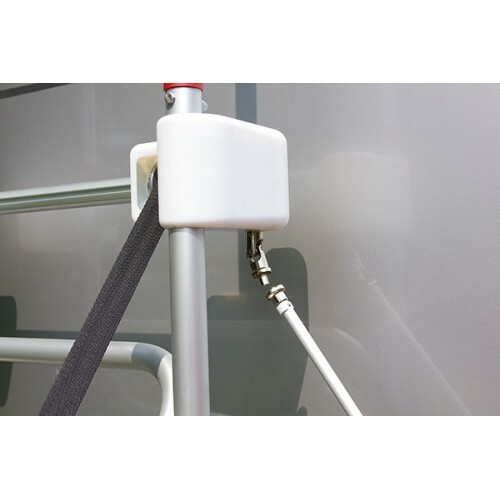 No accidental unhooking thanks to the Extra-Large safety straps which carry up to 60 Kg. 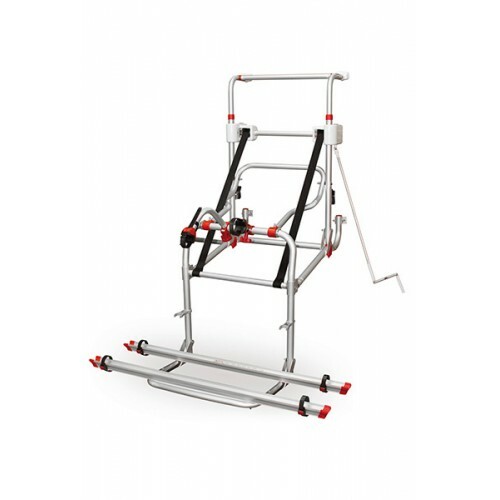 Thanks to its easy-to-operate winch mechanism and crank handle, it lifts and lowers the bicycles conveniently and without effort. 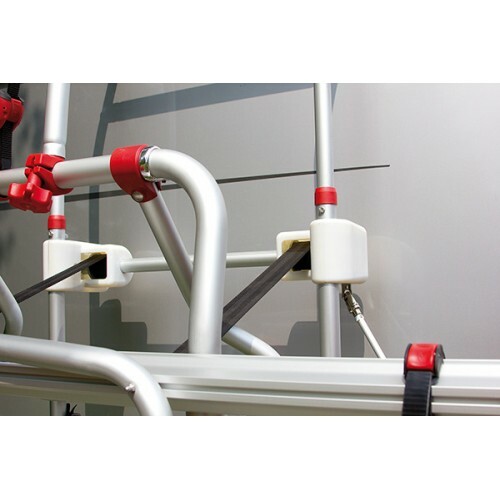 It is made of sturdy galvanized aluminium tubes ø 35mm with steel screws. 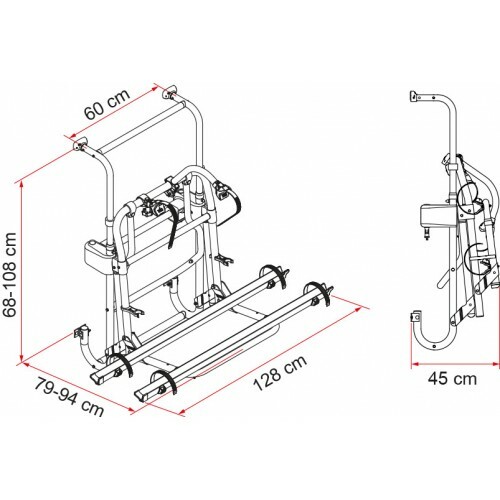 Wall fixing points with vertical wheelbase from 68 to 108cm. 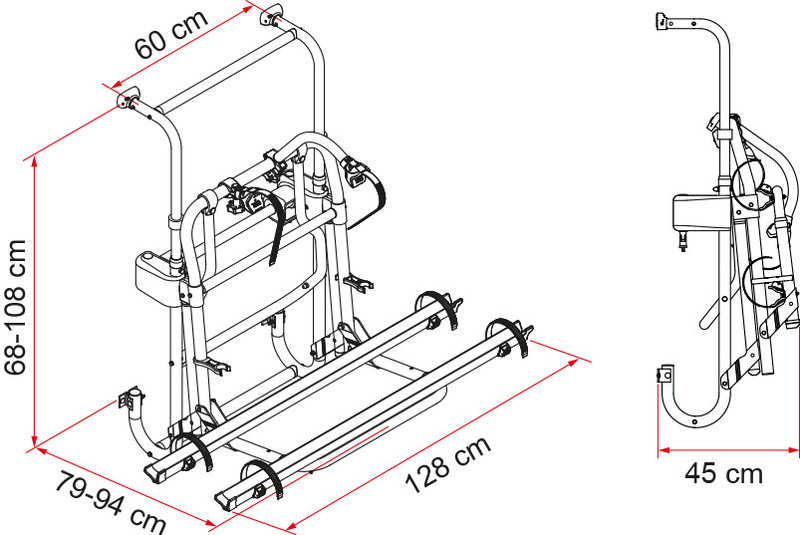 It’s set to carry two bikes but can be adapted for four bikes. 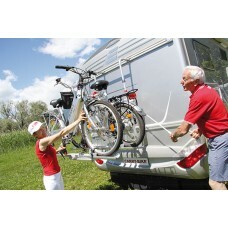 Vehicle Suitable for all types of motorhomes. 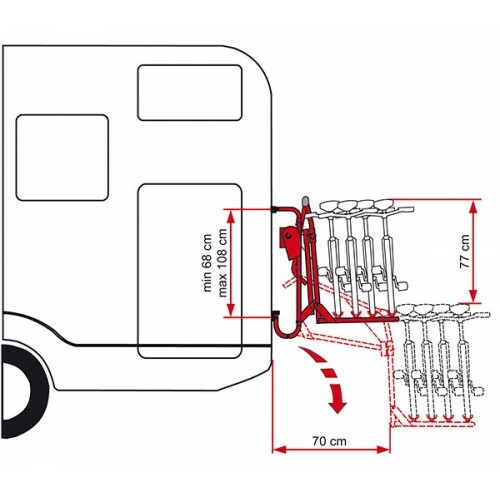 Position To be installed on the back wall of your motorhome. Wall fixing points with vertical wheelbase from 68 to 108 cm. 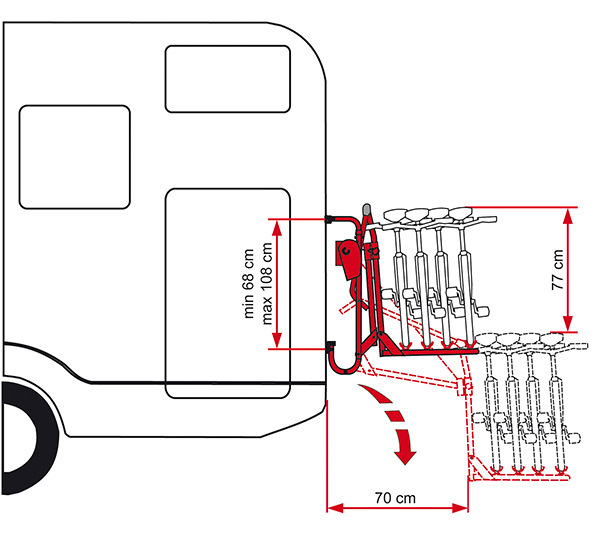 Capacity Two bikes carried as standard, up to 4 with extra Rails and Bike-Blocks optional. 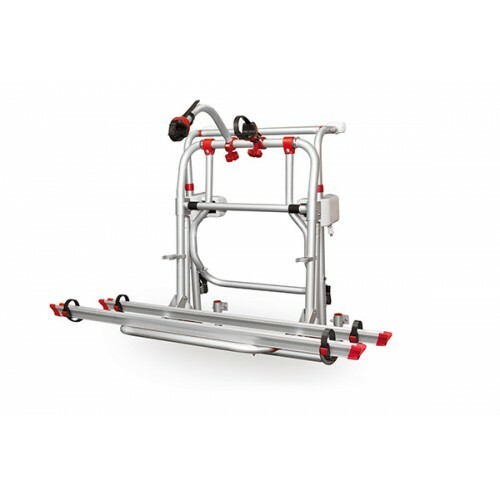 Rails Two Rail Quick/Premium E-Bike delivered as standard which can carry any sort of bike and can also slide horizontally for easy positioning of the bikes. Bike-Block Pro Two Bike Block Pro/Pro S delivered as standard. For the Lift 77, Bike Blocks Pro 2 and Pro 4 are optional for extra bikes.